How Data Deduplication Can Save Cloud Storage Costs? 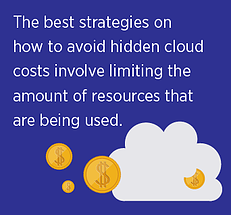 Planning is key when it comes to cost reduction in the cloud. Some companies struggle when migrating to the cloud because most of the indirect costs are never accounted for, forcing budgets to be raised in order to meet the higher-than-expected project costs. Deduplication is a process by which redundant data is eliminated, thus reducing the size of the dataset. Deduplication with cloud storage reduces the storage requirements, along with the amount of data to be transferred over the network, resulting in faster and more efficient data protection operations. With respect to data governance, massive volumes of data can be backed up and used for real-time insights. Deduplication can be categorized based on the location of the deduplication, for example, as client-side or source-side deduplication. It is important to spin the server only when required and to shut it down when there are no jobs to run. This approach limits the amount of billable hours. By writing automated workflow scripts for doing all administrative tasks and operational work, users can save time as well as money. Using automated scripts also avoids introducing costly human errors into the process, helping to ensure business profitability. A lot of resources are wasted when the cloud infrastructure simply sits idle. Prioritizing jobs and aligning them into proper time slots can help to minimize idle time. Directed acyclic graph (DAG) scheduling algorithms can be used to minimize the execution time of jobs. DAGs can be used on infrastructure-as-a-service (IaaS) cloud platforms, where task scheduling and resource provisioning should go hand-in-hand to achieve the optimal solution. Data deduplication, data compression and keeping regular Snapshot™ copies of data help to cut down on extra costs. Support for flash drives, superior input/output performance and high-speed backup creation can also aid in the process of cost-reduction. As enterprises deal with huge sizes of datasets, even small tweaks in the processes can account for big gains in terms of cost. NetApp Cloud Volumes ONTAP (formerly ONTAP Cloud) offers a cloud data management service that provides fast movement of data and maximizes the rest of the investment by using data deduplication, compression and thin provisioning. Efficient data management services help to avoid hidden cloud costs from the public cloud’s services and effectively manage the cluster.